Torrential rains have brought more flooding to the Houston area as emergency officials urge motorists to stay home until the water recedes. About 6 inches of rain fell across much of Harris County, including Houston, and more swamped suburbs west of the city. Authorities warned motorists of more than a dozen areas of high water along highways. 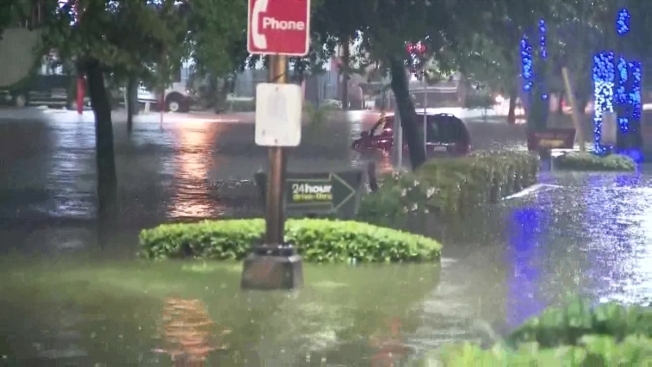 Fire officials said they've conducted about two-dozen water rescues Tuesday, mostly pulling drivers from their stranded cars. Houston officials launched emergency operations early Tuesday following the heavy rain that began a day earlier. The National Weather Service has issued flash-flood warnings for the region. The same storm system brought widespread flooding to San Antonio and other areas Monday.